The NDC is located at a dedicated research facility in Newburgh, 13 miles from Aberdeen city centre. It sits in Energetica, Scotland’s Energy Corridor and is readily accessible from the new Aberdeen by-pass. Hangar space for the design and construction of decommissioning technology. The NDC has created a unique environment by bringing together, in the same building, academic research, real-time projects and laboratory facilities. It is funded by the government to deliver results and its focus is on real solutions underpinned by robust science. 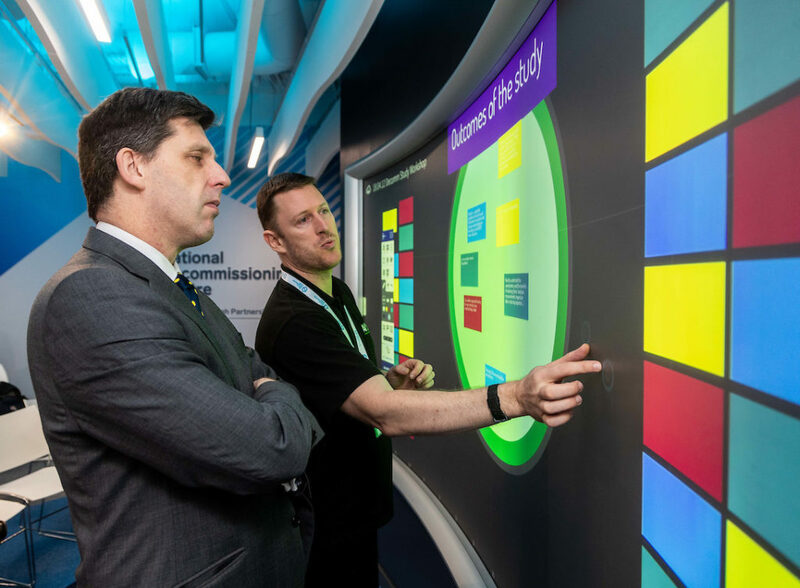 The NDC also houses a high tech digital visualisation hub. It replicates elements of the OGTC Innovation Hub which has proven extremely successful in facilitating collaboration in the industry. The immersive digital space provides opportunities for asset and downhole visualisation, “digital twin” models and virtual geology. 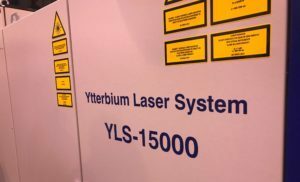 The NDC houses the most powerful industrial laser of any academic institution in the UK. The IPG YLS-15000 is specifically designed for high performance in harsh cutting environments. The NDC is equipped with one of the UK’s highest capacity hydrostatic pressure vessels. Commissioned for the University’s deep ocean research it is equipped with an insulated cooling jacket to simulate deep ocean temperatures if required. The University of Aberdeen is well-practiced at pre-test assessment procedures and client specific test protocols from working with longstanding clients and addressing new. Vertically orientated working chamber serviced by a 2.5T x/y axis overhead crane. The vessel lid has 6 ports through which hydraulic and electrical connections can be made. 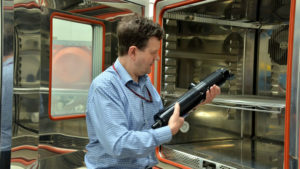 Run by dedicated University of Aberdeen staff with a high level of experience in hydrostatic testing and high standards of safe practice, the certificated testing service has supplied the oil and defence industry sectors for the past thirteen years. Temperature changes in the ocean and on land can affect the operation of hydraulic, mechanical, laser performance, electronic equipment and materials. The Environmental chamber enables NDC to supply towards our clients operational requirements and simulate temperature and humidity profiles. The vibration table is industry standard for automotive, aerospace and electronics testing and has been used extensively at the NDC for those industries as well as subsea technologies. It allows designs to be evaluated for shocks or mechanical resonances by carrying out automatic swept-sine resonance searching with programmable trigger level and dwell time. 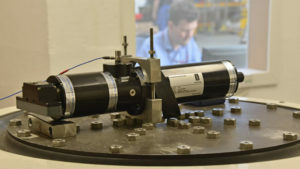 Accelerated-life testing of land and air and sea transportation stresses can also be performed, as well as and shock testing, to simulate stresses from rough handling of equipment during deployment at sea. This test equipment is industry-standard for automotive, aerospace and electronics testing. It allows designs to be evaluated for mechanical resonances by carrying out automatic swept-sine resonance searching with programmable trigger level and dwell time. 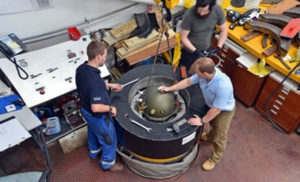 Accelerated-life testing of land and air and sea transportation stresses can also be performed, as well as and shock testing, to simulate stresses from rough handling of equipment during deployment at sea. The NDC has a substantial indoor freshwater tank capable of accommodating offshore assemblies for testing. 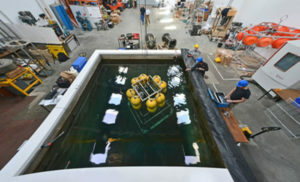 The tank has dimensions of 5 x 5 x 5 metres and is an essential proving facility for subsea inspection equipment, ROVs and other subsea test simulations. A saltwater tank with acoustically neutral walls is also available for calibration and testing of sonar transducers and can be used to establish whether equipment is suitable for use in high corrosion environments.